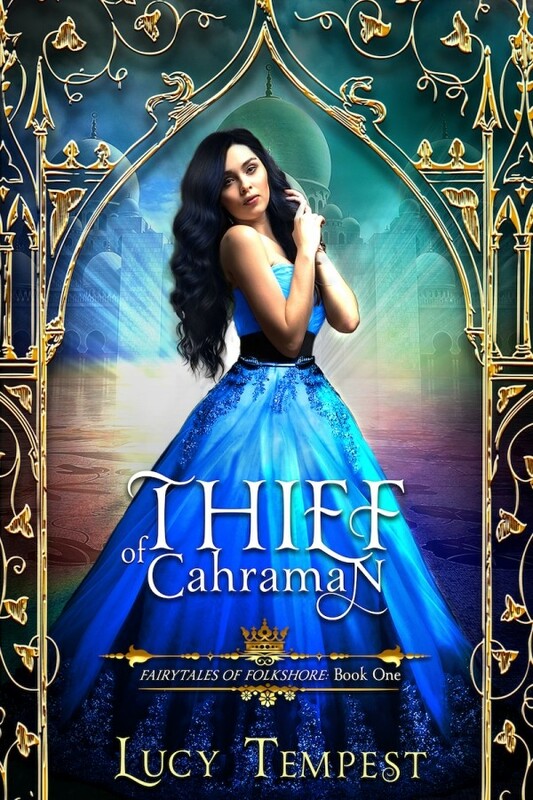 Today we're excited to spotlight Thief Of Cahraman by Lucy Tempest. Read on for more about Lucy and her book, plus an giveaway! With one foot in reality and the other one lodged firmly in fantasy, Lucy Tempest has been spinning tales since she learned how to speak. Now, as an author, people can experience the worlds she creates for themselves. Lucy lives in Southern California with her family and two spoiled cats, who would make terrible familiars. Her young adult fantasy series FAIRYTALES OF FOLKSHORE is a collection of interconnected fairytale retellings, each with a unique twist on a beloved tale. Fairytales of Folkshore is a series of interconnected fairytale retellings. Ada’s story continues in PRINCE OF CAHRAMAN.